The dashboard adds a compact view. 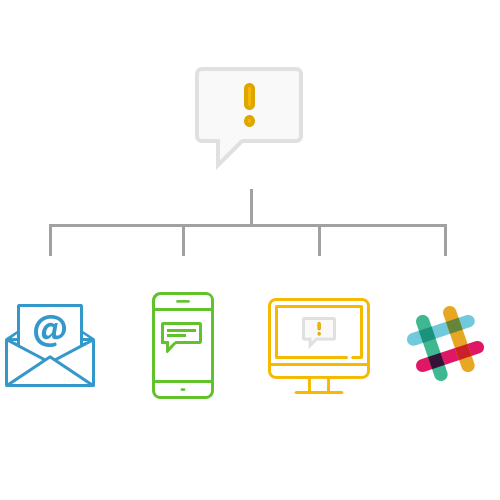 Support for the Slack collaboration hub, so now you can get notifications via Slack whenever a warning or critical condition occurs in your infrastructure. Today's blog examines both features and describes how to download the new version. 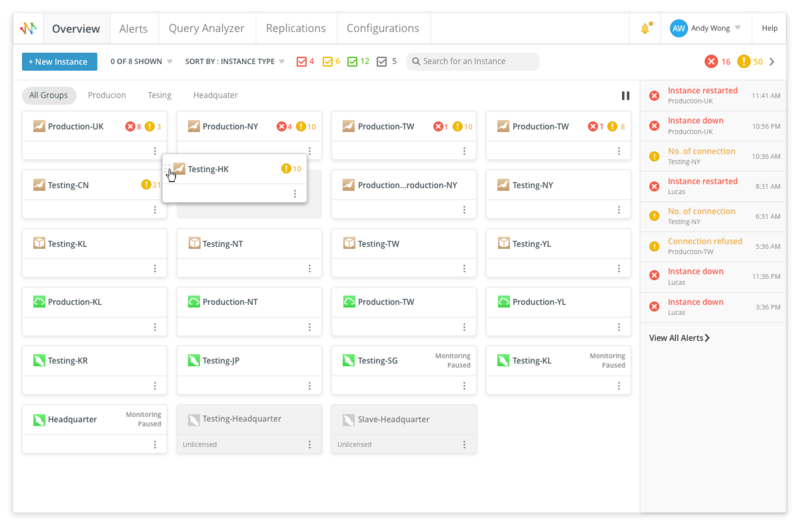 The dashboard was designed to allow the monitoring of several of database instances at a glance. It presents an easy to read, one page summary of the real-time analytics related to the health and performance of all your instances. 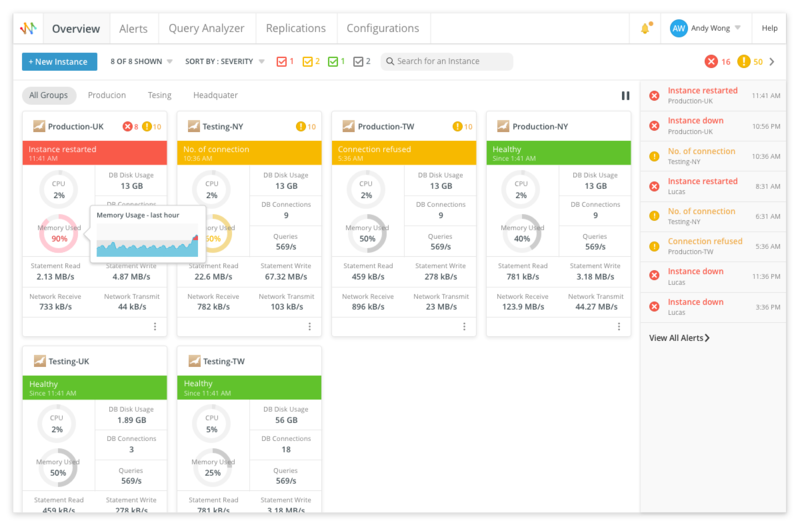 Moreover, you can customize the dashboard for your preferred server metrics to get a global view of each instance, as well as apply instance grouping to allow smooth navigation between each of them. The new Compact View presents a more streamlined set of data cards about each instance, allowing you to include hundreds of database instances within a single screen! Slack is a collaboration hub that connects members of an organization to help get work done within a team environment. The Slack platform includes notifications for things that need your attention. Notifications are received whether you're using Slack on your desktop or from your mobile device. 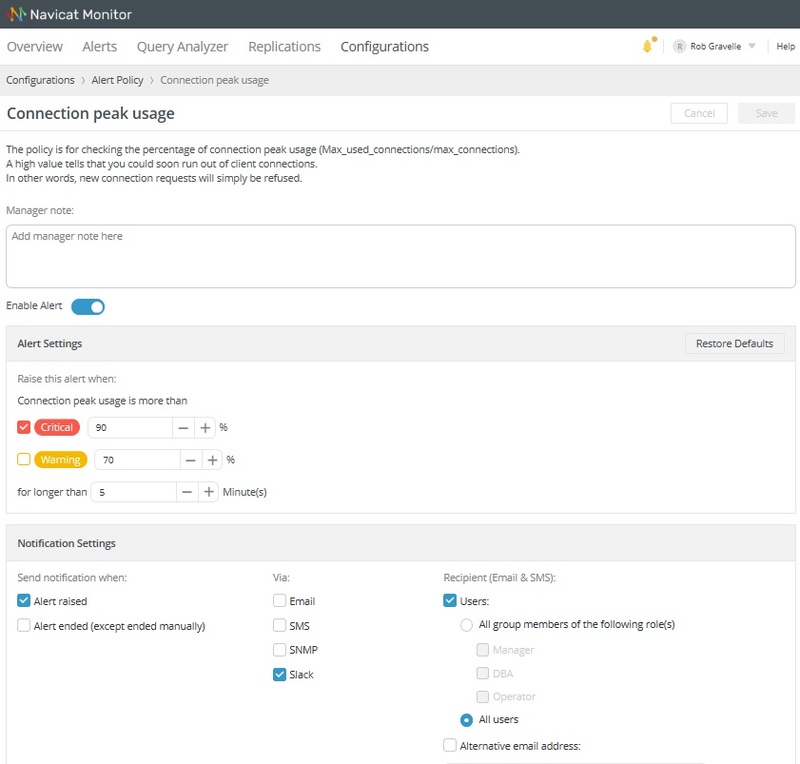 Using Navicat Monitor, DBAs may now choose to receive alerts via Slack, in addition to email, SMS, and SNMP, if they so choose. The Notification Settings are located at the bottom of the page. These include when to send notification, how to send them, and to whom. 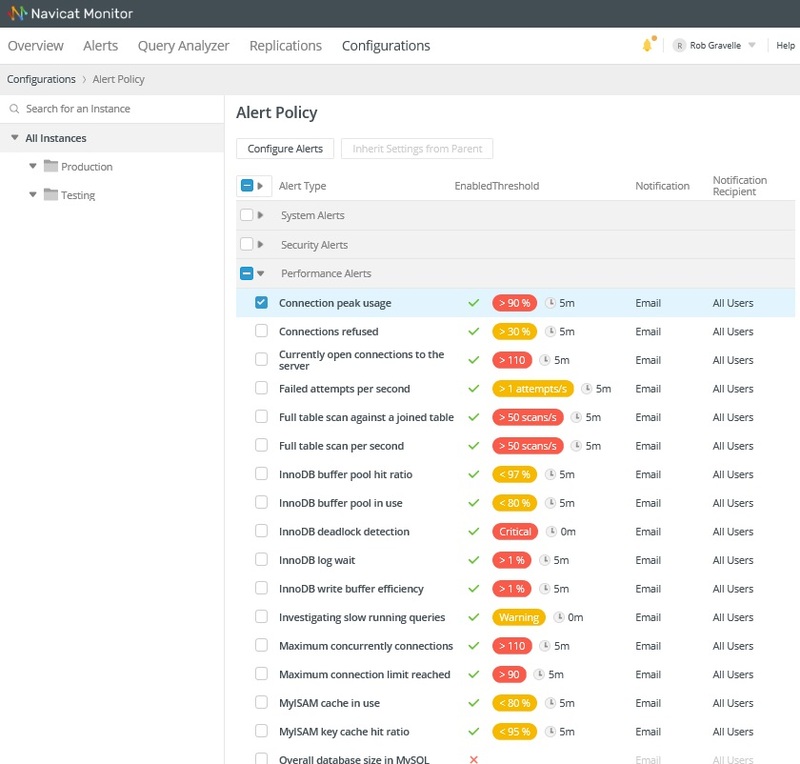 The new version of Navicat Monitor is available for download on the Navicat site. Installation options run the gamut from Windows, macOS, macOS Homebrew, Linux, Linux Repos, Docker, to FreeBSD. You also have the option of selecting either an online or offline installer. You can learn more about Navicat Monitor on the product page. The Discover Navicat Monitor page has even more details.